This 9" x 13" aluminum pan is a perfect addition to any kitchen. This product cuts down on costs and saves time. Just bake your delicious dish in the disposable pan and then throw it away! 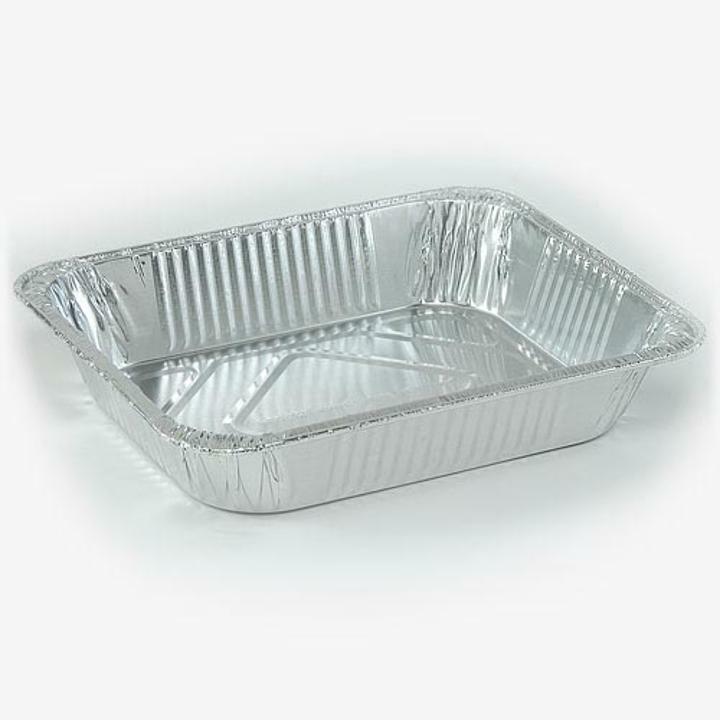 This aluminum pan is ideal for lasagna, casseroles, cakes and much more. These quality pans are made with heavy duty aluminum so they hold up to heavy foods and transport. This product is sold in sealed 10-packs or cases of 10 packs of 10-packs. 9 in. x 13 in. x 2.5 in. L: 9.0 in. W: 13.0 in. H: 2.5 in.